“I have this weird, incurable disease that seems like it’s from outer space . . ."
Singer Joni Mitchell was rushed to the hospital on Tuesday. While what caused her to be found unconscious is still unknown to the public, the New York Times points out that Mitchell has said in the past she has a disease known as Morgellons. But what is it? Morgellons is a syndrome where people feel like something is right under their skin, or trying to come out of it. People who have the disorder will describe pulling “fibers” and other tiny objects like “specks, granules, dots, worms, sand, eggs, fuzz balls and larvae” through their skin. This can leave lesions and scars on their body. 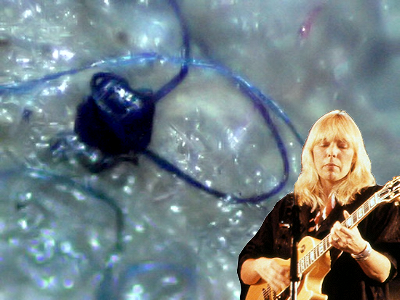 Morgellons is not very well understood and is controversial within the medical community. It’s clear people who say they have Moregellons are suffering from something, but many doctors think it’s a psychological rather than physical condition. Research trying to determine what the disorder is has been very inconclusive. Deadly Fungal Disease May Spread in U.S.